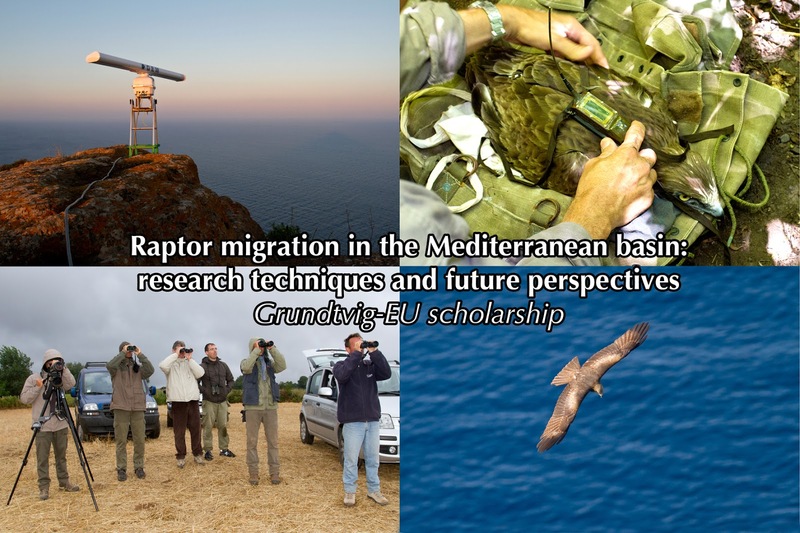 Apply for a Grundtvig-EU scholarship to participate in the training “Raptor migration in the Mediterranean basin: research techniques and future perspective” - in Sicily, Italy. 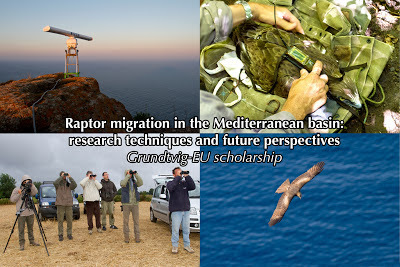 Are you interested in learning more about the topic of “Raptor migration in the Mediterranean basin: research techniques and future perspective” and how effectively integrate it in your professional field? The training course, organized by Legambiente, an Italian environmental organization, takes place in Pachino, in the province of Siracusa (Sicily). The structure is surrounded by typical Mediterranean atmosphere of the Hyblean countryside. The course is unique in the field as it will be developed with the methodology of hands-on. 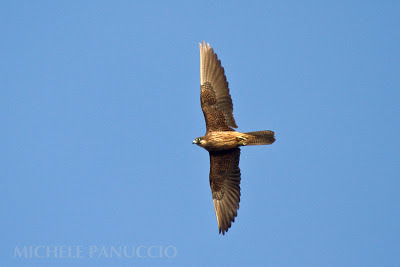 The scientific and didactic activity is supervised by MEDRAPTORS (Mediterranean Raptor Migration Network), a N:G:O: with a long experience in the field of raptor migration (http://www.raptormigration.org). Among the speakers, different researchers who have worked in the field of animal movement research using different methods (visual observations, long-term monitoring programs, radar tracking, GPS, GSM, GLS) and focusing their study on different aspect of bird migration (ecology, ethology, conservation, influence of climate change). Please contact your National Agency because in some cases are not accepted more than two candidates for each organization (university, association, etc.). 1) Download the application form “Grundtvig In-Service Training Application eForm 2012" on your National Agency website. 2) Fill in the application form with all information necessary to complete your enrolment request. Notify our association your intention to enroll in the course. 3) Please submit the file, print out the application form and send it out via regular mail to you National Agency. If you need more details or support in filling in your scholarship application please feel free to contact the organisers at the contact details indicated below. In November at the Strait of Gibraltar a very singular and spectacular event takes place: the migration of the Griffon Vultures. These birds are large and heavy and they are not made to fly over water surfaces. Therefore they wait on the spanish side of the Strait for a sunny day without wind to attempt the crossing and reach Africa. Unfortunately we are in November and days in good weather conditions are not common. 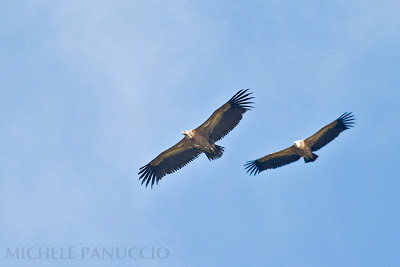 As a result it is not rare the catch the sight of huge flocks of vultures flying over the hills between the towns of Tarifa and Algeciras. 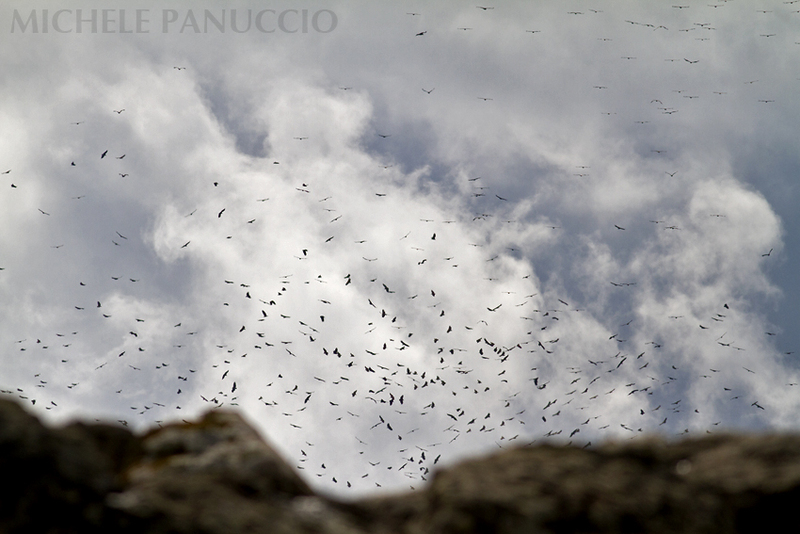 Up to 1000 of Griffon Vultures together is an incredible sight, as you can see from the pictures below. To see more pictures click here: Michele Panuccio Blog. Here following an amazing picture of a juvenile Booted Eagle made at the Strait of Messina by Giuseppe Martino. November is a month were tens, or even hundreds, individuals of this species cross the Strait to winter in Sicily. This autumn good numbers of eagles were observed also in late October passing over the Airport of Reggio Calabria. Here below some beautiful pictures of birds, mostly raptors, made in India by Sunil Singhal. These photos show Black Kites, Montagu's Harriers, White-Eyed Buzzards, a Kestrel and a Sirkeer Malkoha. Pictures were made in Sorsan Blackbuck Sanctuary and another places near Kota, Kota, Rajasthan. 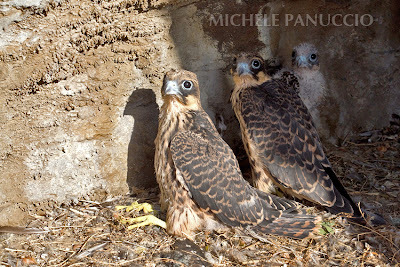 On the photographic blog of Michele Panuccio a slideshow on the Eleonora's Falcon colony of Andros has been posted. To see it click on the pictures below. Unfortunatly many news reported on our blogsite in the last weeks rely on poaching. What's worse this time a shocking news has arrived; tens of thousands Amur Falcons are killed every season during autumn migration at a roosting site in Nagaland in Northeastern India. A team of Indian conservationists has reported this extremely dangerous situation that is really detrimental for a species performing a spectacular migration between the Eastern Siberia and the Eastern Africa. We hope that actions to stop this massacre will start as soon as possible. 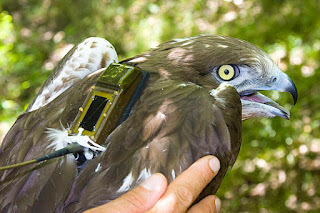 One of the Short-toed Snake Eagles that have been tracked by the University of Alicante together with the Natural Park of Gallipoli Cognato (Southern Italy) has been killed at the Strait of Messina. 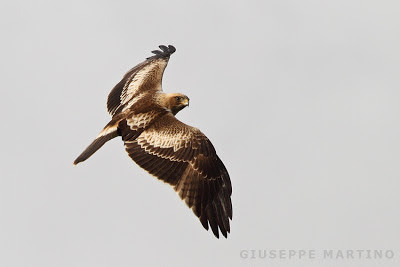 After 15 months of life the young eagle has been shot in Northern Sicily close to Messina town. This is a further signal of alarm of a situation that could frustrate the protectionist effort made in the breeding areas of these endangered species.